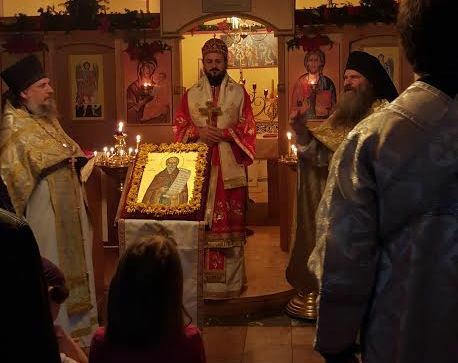 A parish of the Orthodox Church in America, celebrated its altar feast, the feast of St. Maximus the Confessor, January 20-21 with Bishop Maxim of the Western Diocese of the Serbian Church in North America. Bishop Maxim participated in festivities and presided over the Divine Liturgy. He also gave short homily at end of Vigil, delivered a liturgical homily, and had an informal talk directed at convert mothers raising children in the Church, speaking how the Serbs have preserved the faith alive through centuries of hardships. His Grace shared his thoughts to encourage modern American Orthodox mothers. Bishop Maxim gave a lecture in honor of St. Maximus the evening of January 21st at 7:30 entitled "World, Nature, and Church in St. Maximus," followed by question & answer session. According to St Maximus, the world needs man (ἄνθρωπος), so the cosmology is anthropocentric, though not anthropomonistic. Vladika Maxims explained how modern science understands the world as a relational and dynamic reality open to innovation, modification, transcendence, and seeking communion. “The mystery of Christ”, as the Confessor calls it, implies the corporate personality of Jesus Christ united with the world through human nature and eucharistically uniting the world through His Church with the life of the uncreated Trinity in the Kingdom. Thus Christ, crucified and resurrected, is the only “door” that leads to the “new creation” (2 Cor. 5, 17). 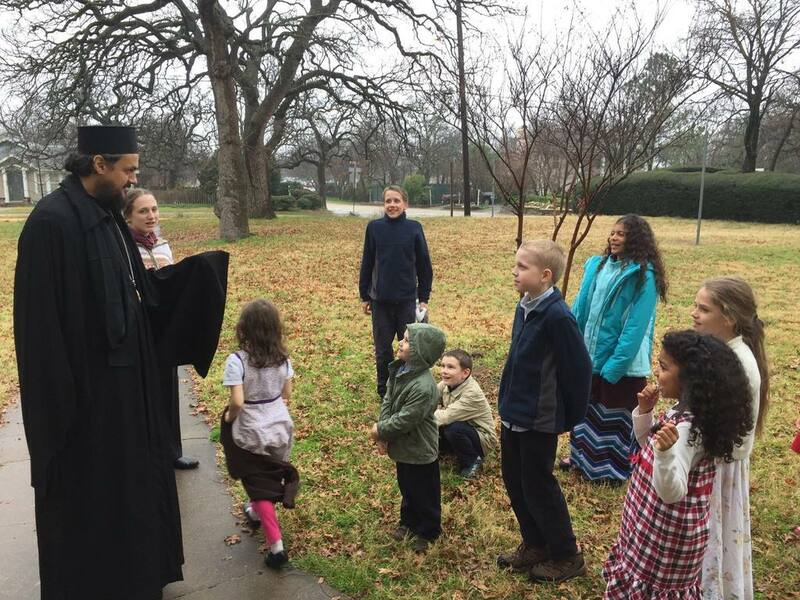 Founded in July of 2001 at the direction of Archbishop Dmitri of blessed memory, St Maximus the Confessor' s mission parish belongs to the Diocese of Dallas and the South of the Orthodox Church in America (OCA) under the omophorion of its Locum Tenens, Metropolitan Tikhon.